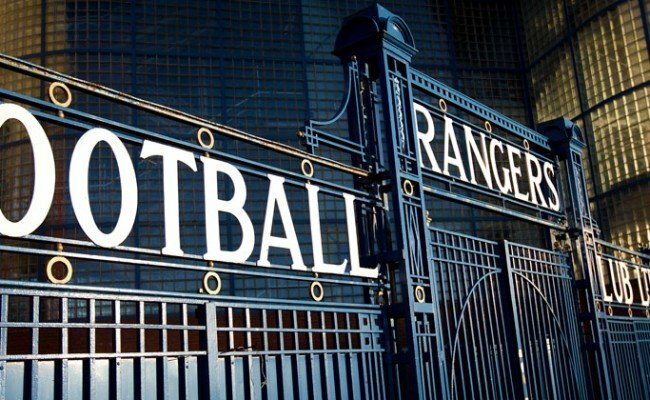 RANGERS recently unveiled a huge banner on the side of Edmiston House which features 11 legendary players under four words, ‘The Icons Of Ibrox’. 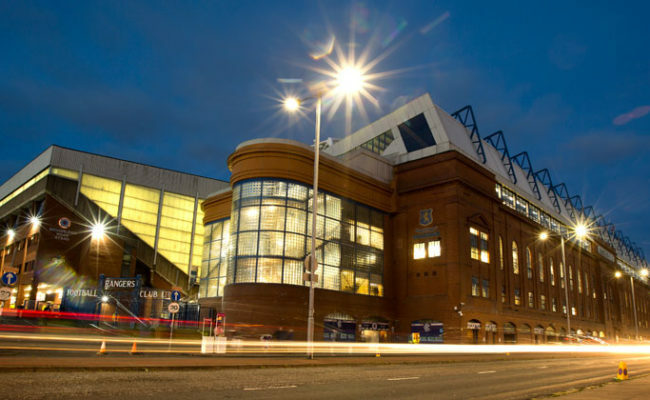 Given what he has achieved in recent years at the club, it’s not surprising that Lee Wallace has been included on the giant image alongside stars from the past such as George Young, Willie Henderson, Jorg Albertz, Willie Thornton, Eric Caldow and Davie Meiklejohn. Having joined the Light Blues in July 2011, becoming Ally McCoist’s second signing, Wallace’s first season was in the Scottish Premier League but within a year the club had entered administration and was thrown into the Third Division. 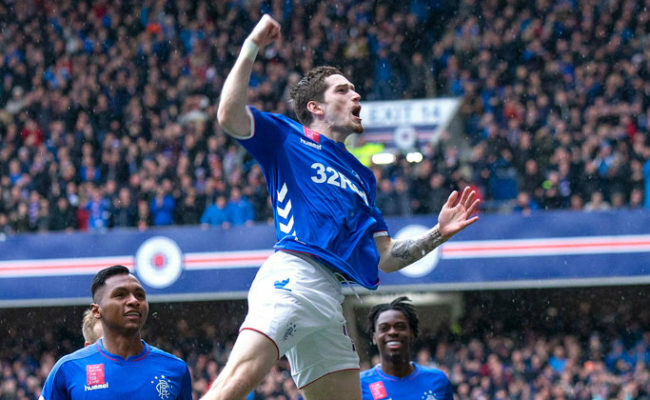 Before the start of the 2012/13 campaign the then 23-year-old left back could undoubtedly have moved to another club, but he elected to stay and play his part in getting Rangers back to where they belong. Fans will never forget that unflinching loyalty and with Third Division, League One and Championship winner’s medals already in the bag, Waldo, as he is known to his team-mates, now has his sights set on Premiership success. 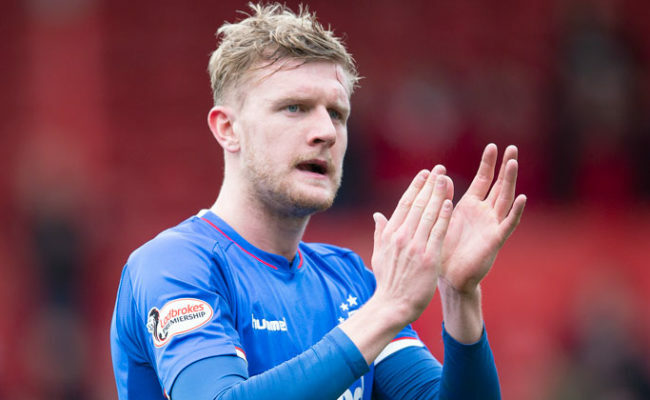 To win a league title at all four levels of the Scottish game would be a remarkable achievement for the Edinburgh-born defender who has been in terrific form throughout Mark Warburton’s first season in charge of Rangers. As captain Wallace prefers to praise the Rangers squad as a whole instead of focusing on his own considerable contribution through ‘The Journey’. He does however realise that he is one of only a few players to have featured in every campaign following the dark years post-administration. “I’m definitely aware of that,” he admitted. “It’s been mentioned a few times about winning a league title at every level in Scottish football and I’ve now played at almost every ground in the country as well. “Having won the Petrofac Cup it would be nice to win every honour in Scotland with Rangers but I’ve always tried to maintain that the most important thing is how the team is evolving and moving forward. Wallace was interviewed for the A4 special final programme of the league season and this is just a short section of what the Gers Captain had to say. You can read the full interview within the programme which is available to purchase online HERE. 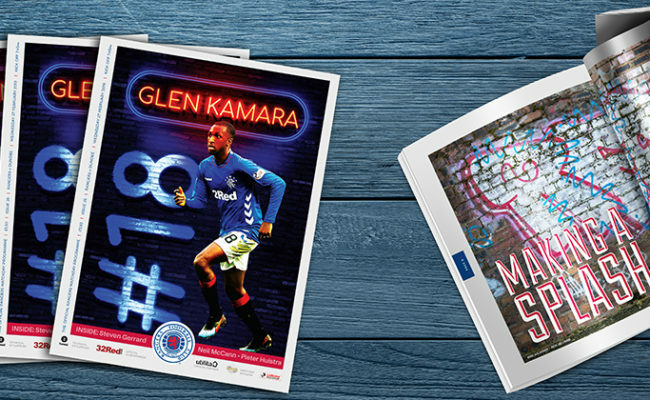 There’s also exclusive interviews with all your favourite players, an extensive look at how the league was won, the Chairman Dave King, the view from the Rangers Academy, exclusive interviews with Matt Crooks and Josh Windass and much more.